Old Point is pier side at the Chesapeake Bay Maritime Museum in St. Michaels, Maryland. 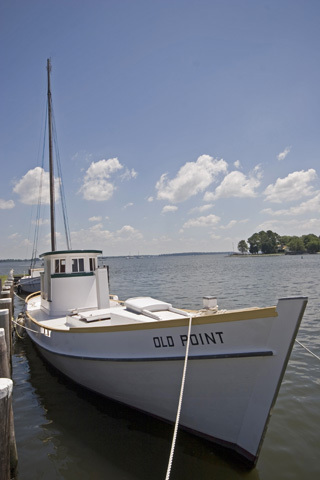 Old point is a oyster buyboat. For information on tour call 410 745-2916.